Pickles are one of those foods that everyone discounts. Grocery store pickles lack a certain panache. Inevitable limp and overly salty yet somehow under seasoned, those are a sad shadow of what truly good pickle can be. Here, I have a fool-proof recipe for crunchy, flavorful pickles every time. 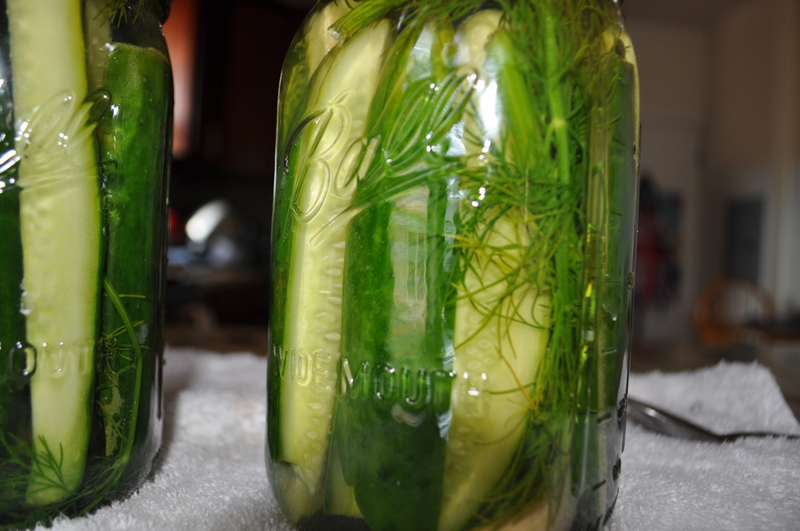 These pickles are one of the most requested recipes I have ever made. I always keep a jar of these crunchy, briny bad boys in my fridge. Any time someone comes over, they run to the fridge and grab a few to munch on while we plan out the day’s events. Feel free to adjust the seasonings for your tastes. Too garlicy? Leave it out. Want a twist? Add some other crunchy veggies to the mix. Green beans or asparagus are also great options. I like to add a few more chilis to make these really pop. Taste as you go and you will end up with a yummy jar every time. Be warned, once you make these, you might have to make them pretty often to keep up with demand!